SINGAPORE, 16 November, 2018 – OPPO SINGAPORE’s brand new concept 3.0 flagship store opens in Suntec City Mall with Singapore being the first country outside of China to launch this store. The OPPO 3.0 store represents the evolution of OPPO over the years into a leading global smartphone brand with the customer at the forefront focusing on design aesthetics and technological advancement. With the ‘Three Rs’ — Real, Revolution and Reform, as its theme, the store features a “humanistic design concept” with the emphasis on being people-oriented and experience-driven. 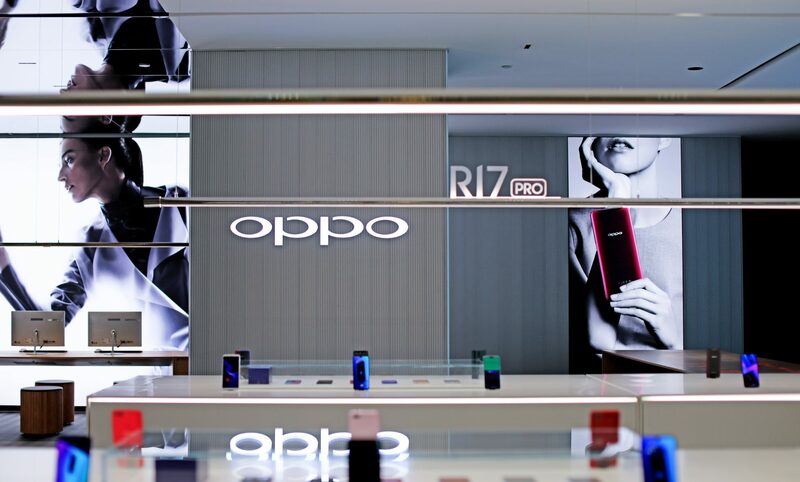 This innovative flagship store aims to create an interactive space for customers to explore and engage with the latest OPPO products. Launching on 17th of November 2018, the OPPO 3.0 flagship store opens its doors with an exciting line-up of activities and promotions including a SuperVOOC challenge where customers have the chance of winning a R17 Pro. In addition, customers who purchase OPPO products on that day will be able to receive free gifts from OPPO worth up to $238. Furthermore, the first 200 people collecting the R17 Pro following their pre-order units will receive a Fitbit Charge 3 (worth $238). The store located in Suntec City occupies 210 square meters and makes a bold attempt to break away from traditional product stores to one that offers customer interaction and captivating experiences. The OPPO concept store draws on elements of it being fashionable, simple and elegant to create a refreshing and stylish space for the customers. Upon entering the store, customers will be greeted by a large LED touchscreen table where they can browse through OPPO products and information, just adjacent to actual live units for a hands-on experience. A key highlight of the store includes a delicately crafted miniature diorama of Singapore’s landscape in a 3D model with an OPPO phone capturing images on a track running through the city. The store also features an in-built photo-booth, leveraging on the OPPO phone’s high quality camera, customers have the opportunity to snap and upload images of themselves onto an LED wall and download to post these photos on their social media platforms as well. Finally, the store is equipped with a one-of-a kind charging system, which allows up to four customers to charge their OPPO smartphones while creating a dynamic electric light display that connects to the neighbouring phones. OPPO Singapore flagship store is located in Suntec City at Tower 3, #01-627-630 and is open from Monday-Sunday 11am-9pm. I am The Tech Revolutionist. "By Tech Enthusiasts, For Tech Enthusiasts". The Tech Revolutionist was established in 2012 to bring the latest news from the PC DIY scene to the readers in Singapore. We have now expanded into many other areas in technology, covering a wide scope of topics from lifestyle consumer to enterprise products. Forget about pretty faces and handsome presenters. Here at The Tech Revolutionist, we go deep into technology to look at how things work, and how it affects the society today. That's why, our writers are all professionals in the tech industry. "Think Tech. Speak Tech. Breathe Tech"
© 2018 THE TECH REVOLUTIONIST - T05 TECHNOLOGIES PTE. LTD. ALL RIGHTS RESERVED.